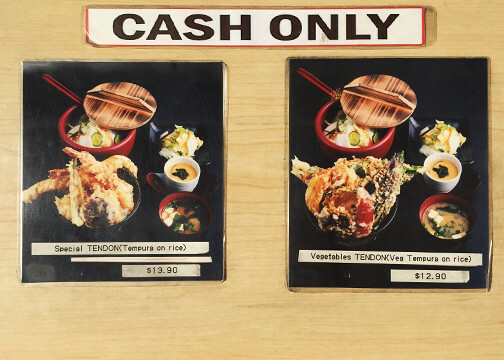 You place your order (there are only 2 options and Cash Only please) and receive your table number in the queue. After that all you need to do is head straight to your assigned seats when it’s your turn to enter. 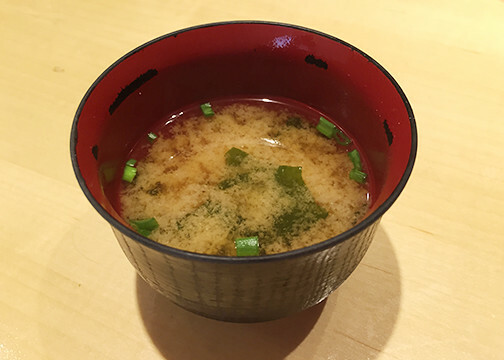 First up was the chawanmushi and miso soup. 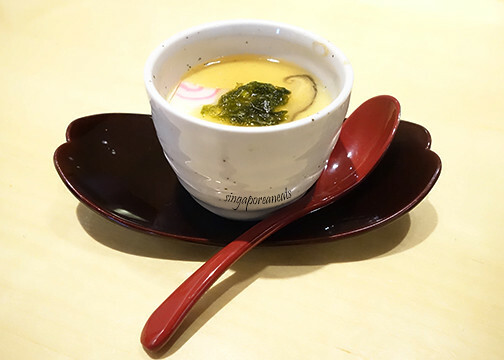 I liked the thick custard texture of the egg mix, and the depth of miso soup flavour. 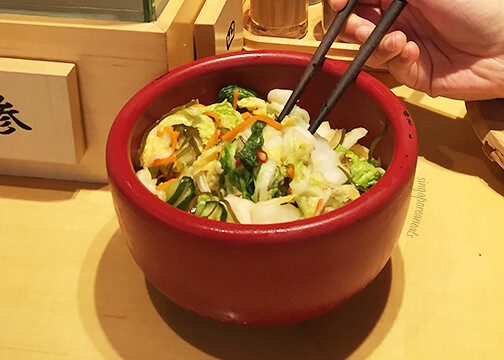 Whilst waiting for the main item, I was happy to be distracted by the crunchy preserved cabbage in the pot in front of us. Finally, the pièce de résistance we had been looking forward to. 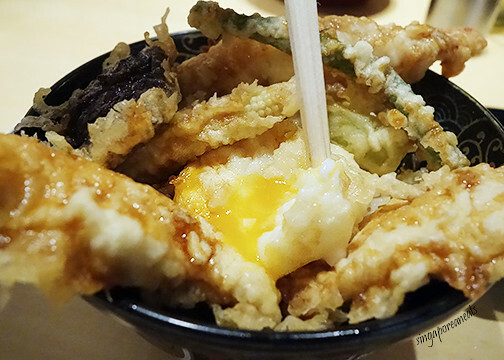 The Special Tendon on Rice. I’m not sure if it is a deliberate feature of the dish – to have heavy (and almost soggy) crepe-like batter. The vegetables were delicious but the chicken breasts tasted frozen. The huge prawns were thankfully fresh enough, but it couldn’t make up for the rest of the bowl. The rice texture was also thick and heavy and was a challenge to finish. I much prefer a lighter version of everything. The egg was a nice touch though. At $13.90 it is very hard hard to make fuss about the meal. The variety of items and quantity makes a great meal for a very famished person. Although, the thought of queuing for it and feeling rushed to make a quick exit makes it a very challenging proposition to revisit anytime soon. 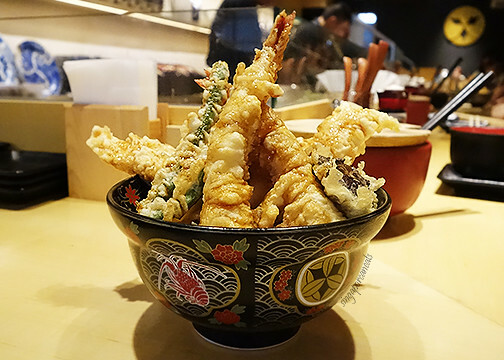 However if price is no objection, there are many other places for one to pick up lighter and crispy tempura options. Opening Hours : Lunch: 11:30 a.m. – 2.30 p.m / Dinner: 5.30 p.m. – 10.00 p.m. 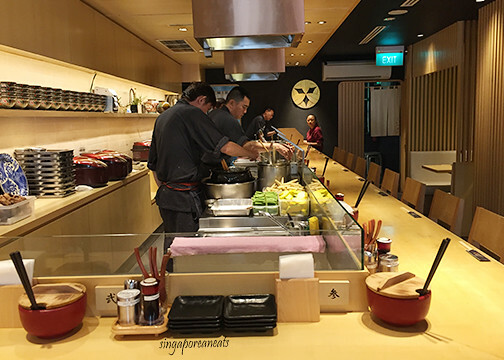 This entry was posted in Japanese food, Tanjong Pagar, Uncategorized. Bookmark the permalink.